go Cannot express how this picture makes us feel. 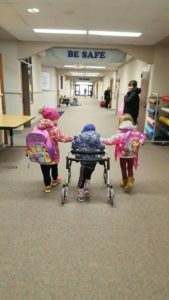 Emma has some amazing friends at school. go to link Here it is time to head back to Boston for Emma’s 3 month MRI scans. I can’t believe it has already been 3 months! We have had a really good few months of just enjoying life and having fun together. We feel like we have been blessed with some wonderful family time these last few months. Emma is loving school and it is amazing to watch the progress she is making. She feels so much better since she is off of treatment, and we are so thankful for this time where she feels good. While Emma isn’t showing any signs of changes in the tumor, the anxiety that surrounds the upcoming scan results can’t help but sneak up on us. We have received bad news enough times to know that good news is not a given. It seems as if having scans done never gets any easier. We pray that we will get an early Christmas gift this year with stable scan results. http://jasonkaune.com/?search=viagra-information-drug Emma has her MRI on Wednesday morning and then we will get results and see her team of doctors that afternoon. Then Thursday we have a six month check-up appointment with endocrinology. If you have a few extra minutes on Wednesday we would certainly appreciate some prayers for Emma. We thank you all for your continued prayers and support, and want you to know that it is your support that keeps us strong on these hard days. We will post an update Wednesday after scans to let you know the results. Thanks for helping us be EmmaStrong!